Today The Simpsons Tapped Out version 4.4.0 was released for iOS and Android. 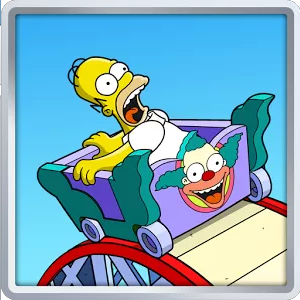 The update brings the previously rumored Krustyland theme park, which requires users to travel to and rebuild a whole new area. The theme park offers rides, games, mascots, quests and more. [NOTE] At this point there is no seperate MOD for iOS users. You can however use an application called Bluestacks to install the Android version of the MOD on your PC or Mac and then return to your iOS device after you have used the MOD. Download and Bluestacks for your Windows or Mac computer. Uninstall any older versions (installed versions) of The Simpsons Tapped Out APK if you have already installed it on Bluestacks. Install v1, Open TSTO and allow a minor update to be installed. [NOTE] If your game is stuck in the loading doughnut or stuck during updating try again later as the servers are busy. Once you have gotten the advantages you need, uninstall the MOD and continue playing off your iPhone, iPad or iPod Touch. Open the Terminal on your Mac. CD to the Runtime folder. You will also receive 5000 Krustyland Tickets as an added advantage for Krustyland. You can learn more about the items which will be unlocked by the MOD here.